I shy away from Eastern Bloc aircraft but this is actually a pretty good. Conversion from an old XP9 model I believe. There are a few sound blending issues and the aircraft script fails without the 'avitab' mod so there is room for improvement. The developer is working on it constantly though. 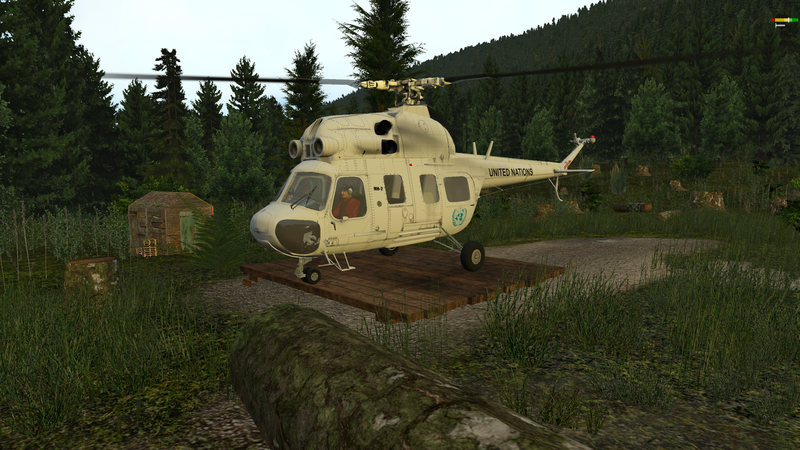 I do believe it's the only payware helicopter I ever had in FS9... real kyoot. You should try dipping the toe into AFS2 and the Robbie, it's every bit as unstable as the pilots say it is. I think one needs at least pedals to fly it properly. I’ll get AF2 when it’s on sale next. The Robbie is supposed to be pretty fantastic. I’m looking forward to trying it out. Be interesting to try some pirouettes and things.